I've always loved bright, yellow flowers. 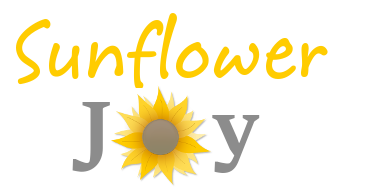 Of these, the sunflower is my favorite because it is a wonderfully cheerful and happy flower that I never tire of seeing. 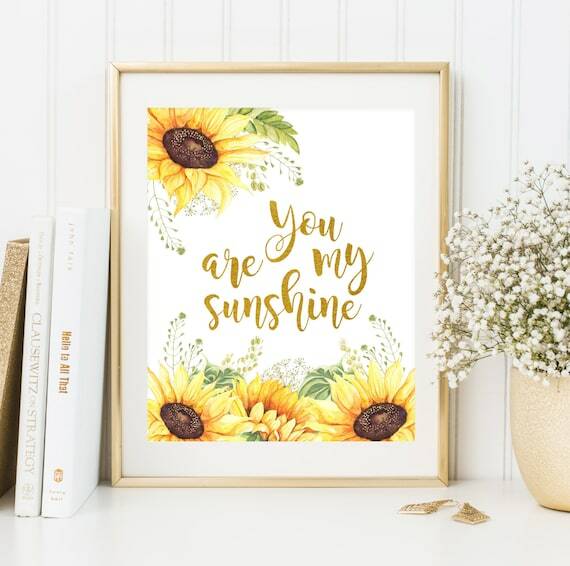 This page features a selection of the sunflower sayings and quotes that I adore on this charming and delightful flower of the sun. Be inspired and lifted up with these powerful and radiant messages of friendship, love and hope. 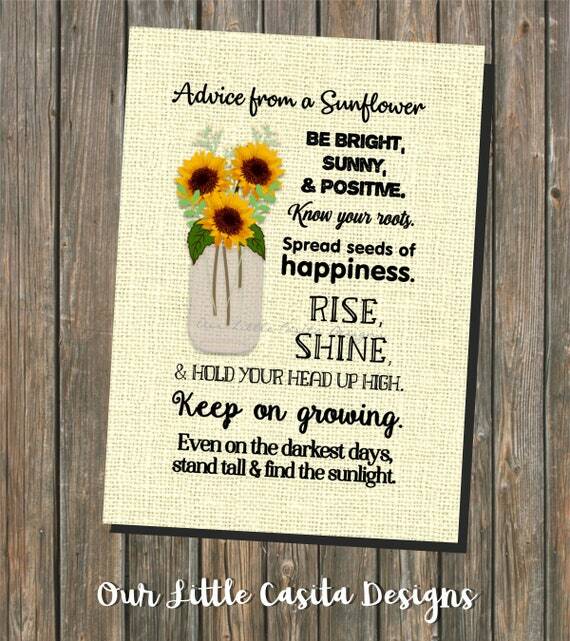 We all have cloudy days and these sunflower quotations can really work wonders in adding a real ray of sunshine when you need it the most. If you ever need a real dose of cheer to perk up your day and make you feel great about yourself, this is the feeling you should get after reading this brilliantly sunny page. "Which makes it ironic my favorite flower isn't even indigenous to the British Isles, let alone Yorkshire. I don't think there's anything on this planet that more trumpets life than the sunflower. For me that's because of the reason behind its name. Not because it looks like the sun but because it follows the sun. These quotations are great to read when you are having an off day, feeling down or need a pick me up and feel good factor. They are also fantastically useful for art and craft projects. These sentiments can be added to handmade cards, letters, scrapbook pages, notes and home decor in order to spread around some real cheer for yourself and other people. Enjoy these sayings and treasure the heartfelt messages. Summer can exist all year long in your heart if you want it to. These quotes also make the perfect sentiments that you can share with your friends and family on your favorite social media sites such as Facebook, Twitter and Pinterest. These words can also be used for your handmade crafts including cards and scrapbooks. Sunflowers make life feel beautiful. If you love this amazing plant even half as much as I do, you should have wholeheartedly enjoyed the positive and uplifting messages and sentiments that are gathered here together.